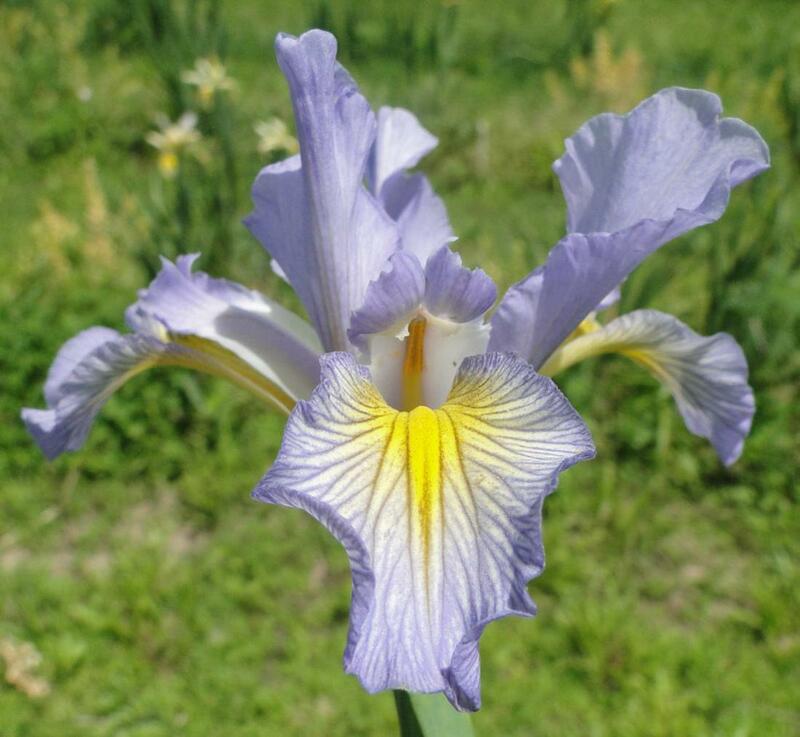 Small Endeavor-(Jim Hedgecock-2017)-Sdlg.#Jm-19-A-Spuria Iris-29 Inches Tall-Medium Bloom Season-Small Endeavor combines several of Charlie Jenkins seedlings that were selected for miniature spuria irises. The ruffled standards are pale blue with yellow and green rays at the midribs. Falls are ruffled pale blue with yellow and white rays speading out over most of the petals. Perfect miniature proportions in all facets of this introduction. Smaller flowers, shorter stalks, and shorter foliage.